a. with a single primary source of fundamental reference material and planning data on all SOF components. b. 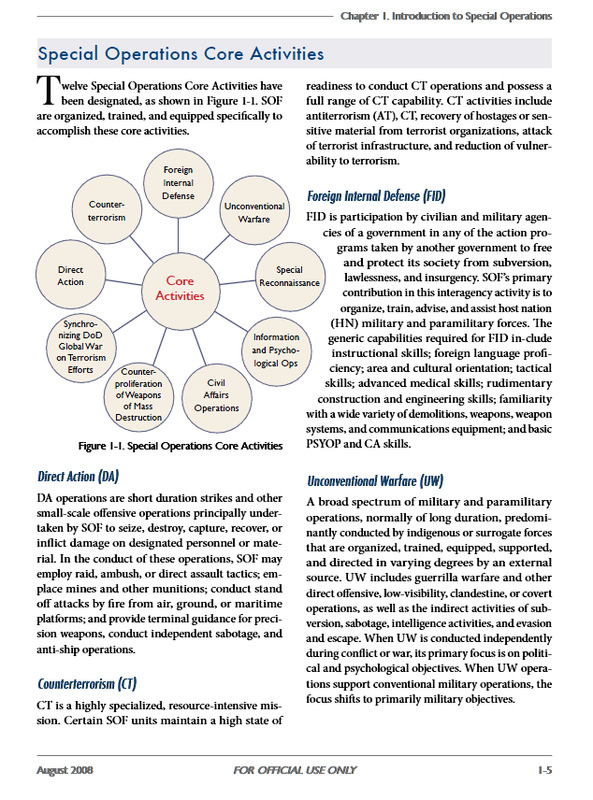 Provide newly assigned SOF personnel or non-SOF personnel an overview of special operations and special operations forces in order to facilitate the integration of conventional forces and provide SOF capabilities and planning data to conventional force staff officers who may not routinely use this data. c. Provide standard SOF reference data to SOF faculty members at PME institutions for use in their instruction. d. When combined with tactical situations and scenarios, provide SOF commanders and units a vehicle to facilitate unit/staff-level seminar wargames. 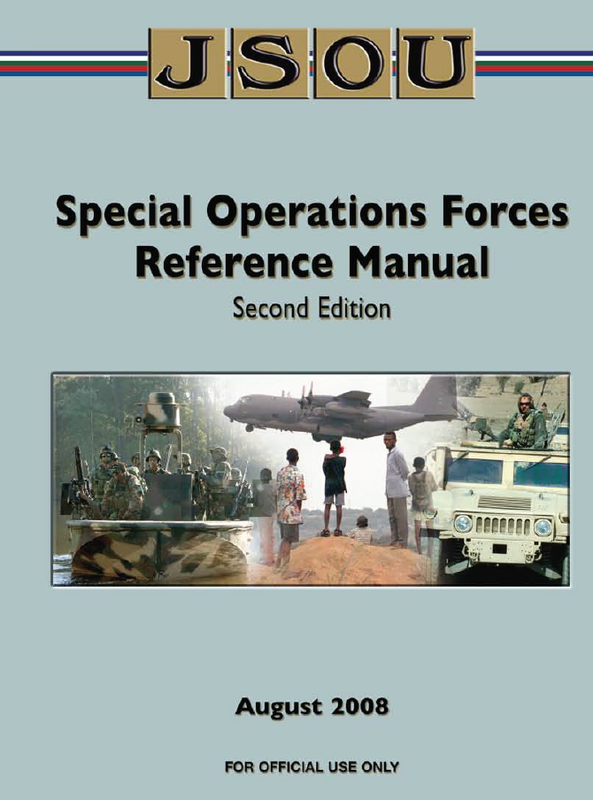 The target audience for this manual is Special Operations staff officers and enlisted personnel at USSOCOM, its component and subordinate commands, the Theater Special Operations Commands, and the conventional force headquarters/unified commands and their staffs which may employ SOF in their areas of responsibility. This reference manual is doctrinally based, drawing information and data from Joint, USSOCOM, and Service publications.